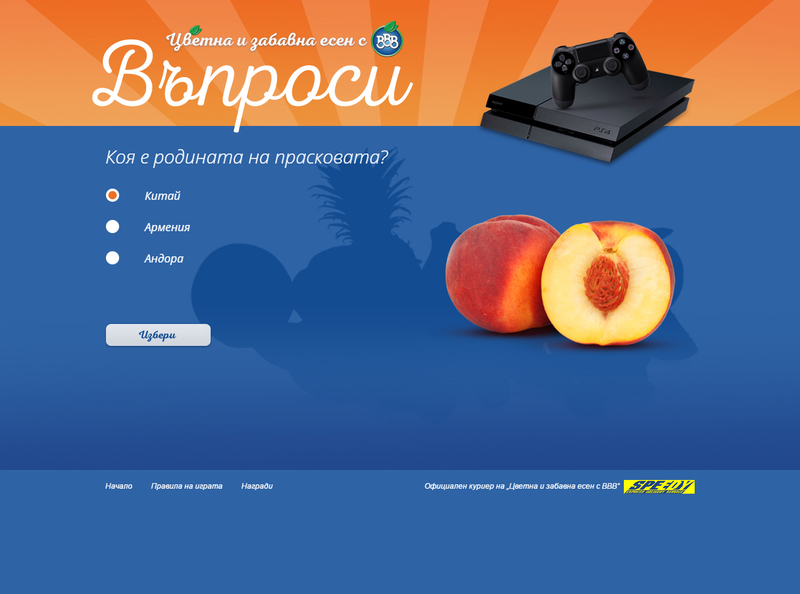 Design and development of a website for the promotional campaign “Colourful and Joyful Autumn”, organized by Gorna Bania’s brand BBB. 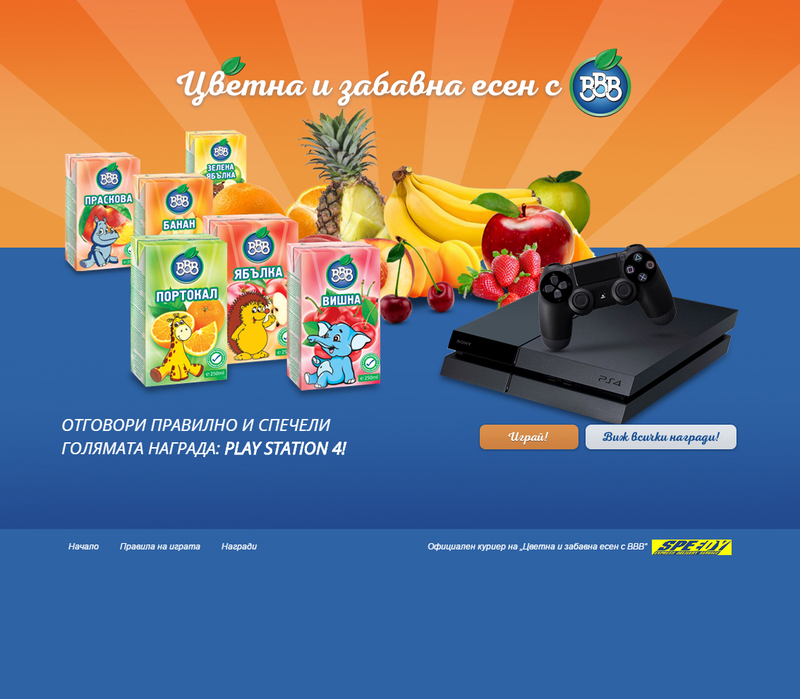 Users can participate in the game by answering a question related to the brand BBB and are asked to provide contact information (full name and current e-mail address). Contestants will receive great prizes, including selfie sticks, flash memory, umbrellas and many more together with the grand prize – PlayStation 4. 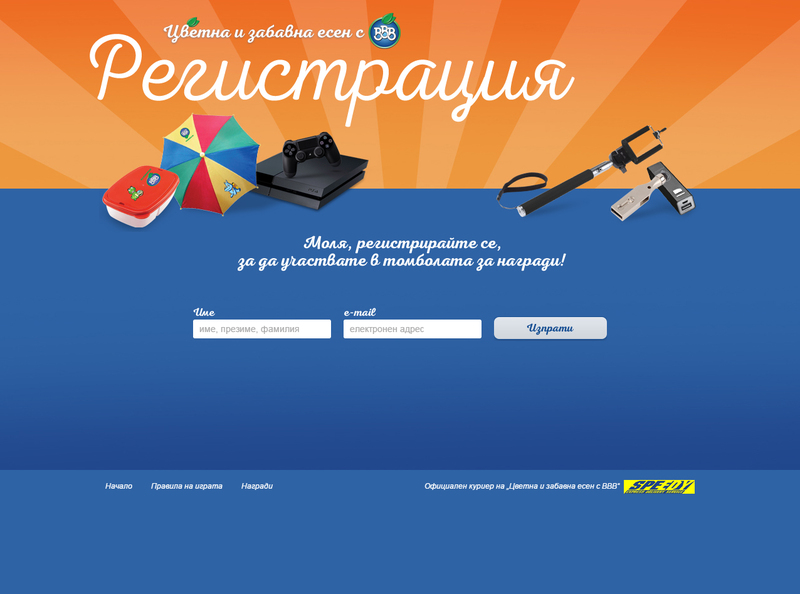 The game is promoted by creating a custom tab on BBB’s Facebook fan page. In order to boost user engagement, the campaign is supported by Facebook social ads and the site has a mobile version.